The popular herb kratom is linked to an outbreak of salmonella that has made 28 people sick in 20 states, federal health officials said Tuesday. Most of the people who have been made seriously ill in the outbreak remember having recently used some form of kratom, the Centers for Disease Control and Prevention said. It said 11 people were sick enough to have been hospitalized. “At this time, CDC recommends that people not consume kratom in any form. The investigation indicates that kratom products could be contaminated with Salmonella and could make people sick,” the CDC says on its website. Kratom has been the focus of a storm of controversy. The Food and Drug Administration has issued increasingly urgent warnings about the herb, saying it acts like an opioid drug and advising people to stay away from it. The Drug Enforcement Administration is looking at a strong restriction on the sales of kratom, which is currently traded freely on the internet and in some stores. “Kratom is a plant consumed for its stimulant effects and as an opioid substitute. Kratom is also known as Thang, Kakuam, Thom, Ketom, and Biak,” the CDC says. Kratom enthusiasts say it’s enjoyable to use recreationally, but say it is also useful for treating withdrawal from opioid use and can be used to treat pain. “Kratom is not a drug,” the American Kratom Association says on its website. It says kratom is illegal in Indiana, Tennessee, Wisconsin, Vermont, Arkansas, Alabama and Rhode Island, as well as some local jurisdictions including Sarasota County in Florida, San Diego and Washington, D.C.
Salmonella is a very common bacteria that causes food poisoning. 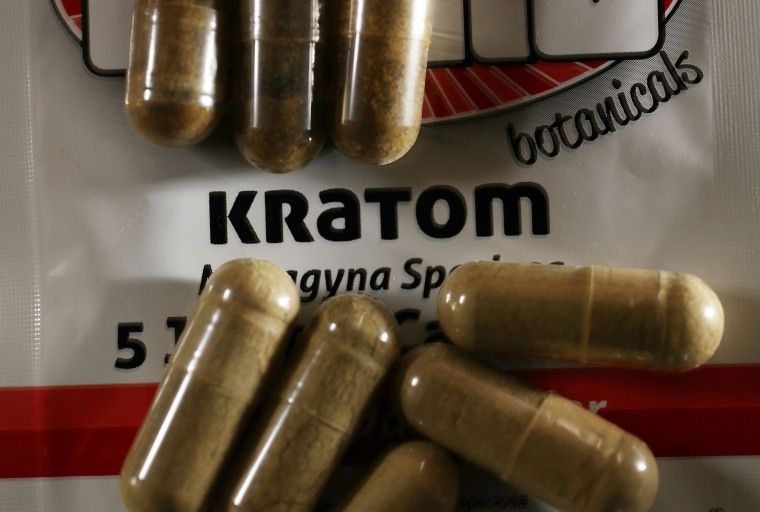 The CDC says it is not clear how it could have gotten into supplies of kratom. But genetic testing links the cases that have been reported. It's been linked to supplements before, and caused an outbreak in food powder in 2016. “In interviews, ill people answered questions about the foods they ate and other exposures in the months before they became ill. Eight (73 percent) of 11 people interviewed reported consuming kratom in pills, powder, or tea,” the CDC said.